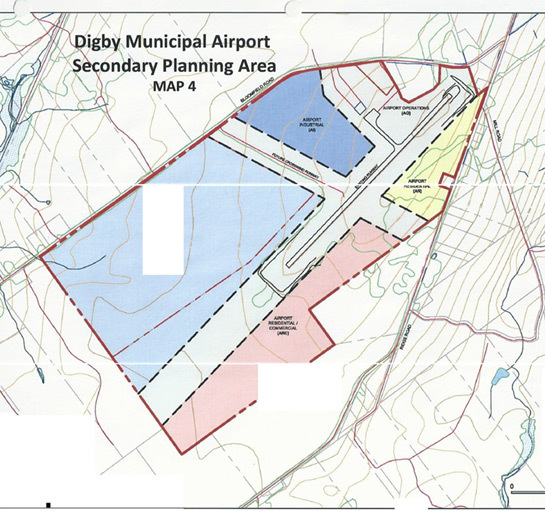 Our land assets are managed by the Digby Development Agency, an inter-municipal body made up of the municipality of the District of Digby and the Town of Digby. Within this zone, there is Airport Industrial (AI) zoning, Airport Residential (AR), and Airport Residential/Commercial (ARC), each with adequate separation to allow for a wide variety of uses. This area is un-serviced and undeveloped at this time. There is some hangar infrastructure present, and the DDA is open to proposals on a Design-Build basis. This site is approximately 22 acres in area and is generally located south of Highway 217 and is bounded by industrial lots, residential lots, and institutional uses. At this time, the area is approximately 60% occupied. The remaining available lands (in yellow) total roughly 10 acres and are surrounded with streets that include municipal services including sanitary sewer, water distribution system, overhead electrical (3 phase on Industrial Drive), and paved roads with roadside ditches and culverts for drainage. A watermain and forcemain has been installed through the center of the project area connecting Shreve Street to Industrial Drive and an easement is in place to protect this corridor. There are three wastewater pumping stations near the site, one at the end of Shreve Street, one on Highway 217, and one at intersection of Industrial Drive/Highway 217. 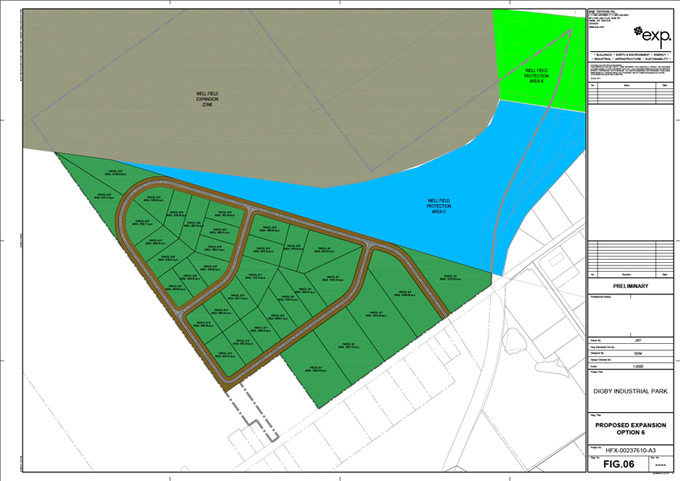 The area is zoned Industrial M under the Conway Area Land Use Bylaw (338 KB) where a wide range on nonpolluting and appropriate commercial uses can be developed. 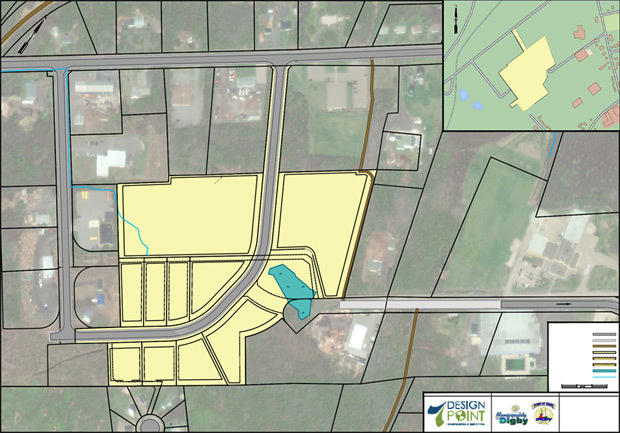 This parcel (PID 3013066) is consists of 171 acres of un-serviced, primarily wooded land. Land use for that area is governed by Digby Wellfield Protection Area Land Use By-Law, Digby Wellfield Protection Area (221 KB) MPS which restricts uses on roughly 55% of the parcel. Nonetheless, there remains excellent frontage on Highway 217, and approximately 77 acres of raw land not subject to the by-law. If you have an interest in purchasing Digby Development Agency lands,please download Application to Purchase DDA Business Park Lot (2) (138 KB) . All applications are 100% confidential.